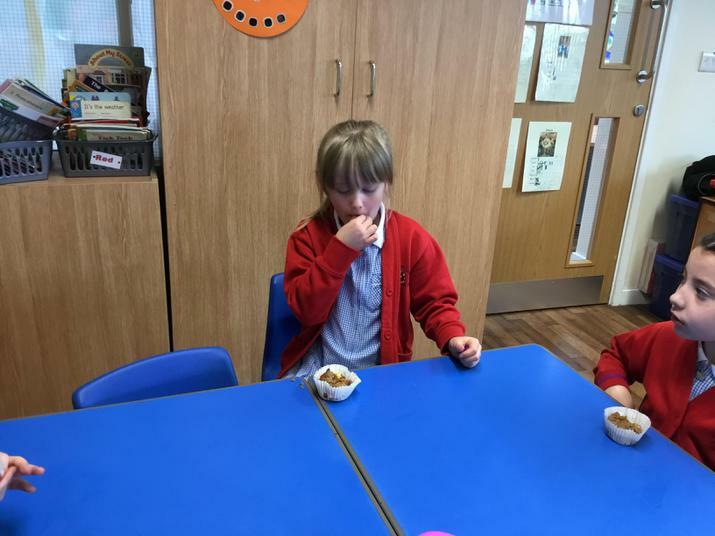 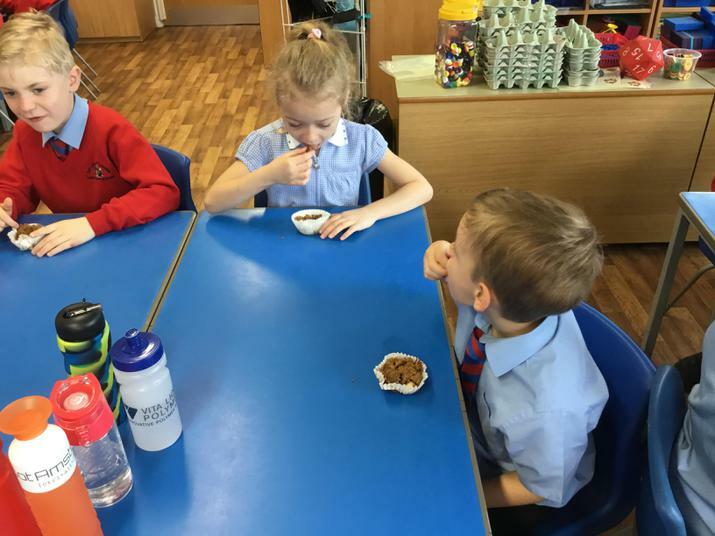 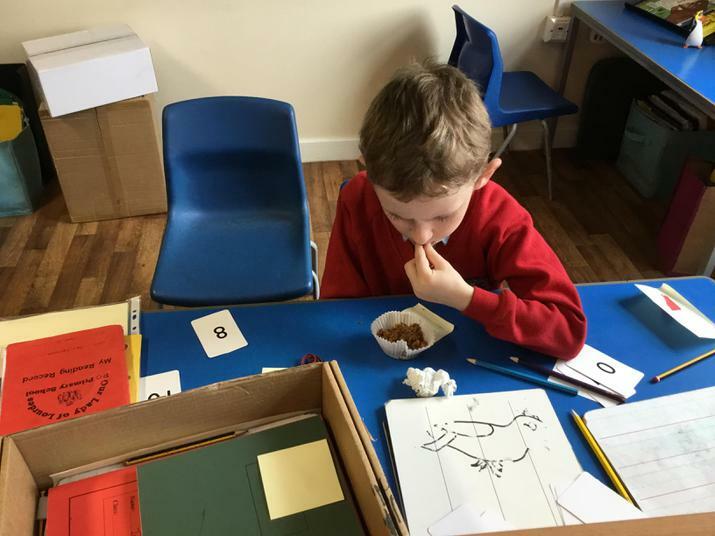 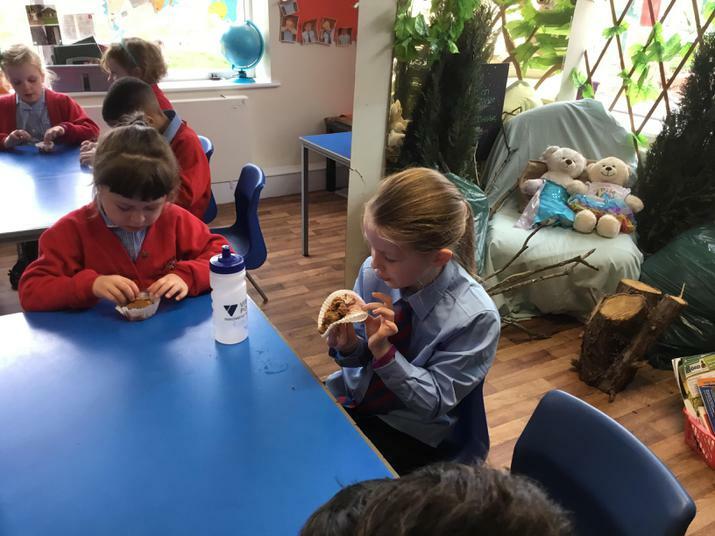 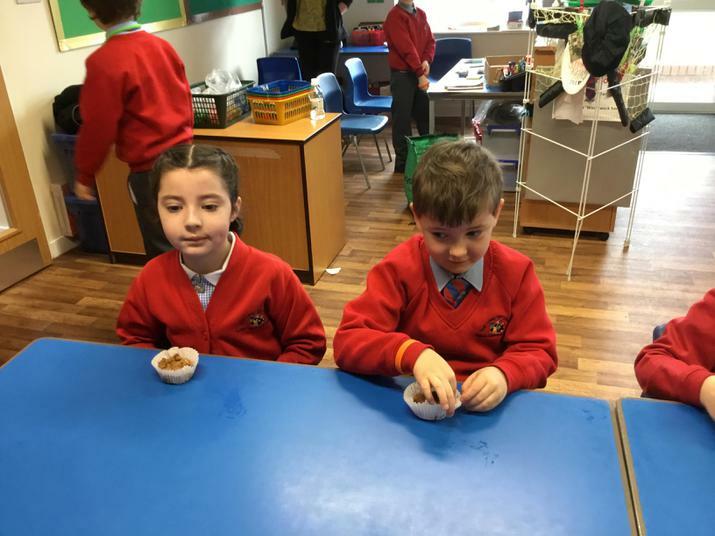 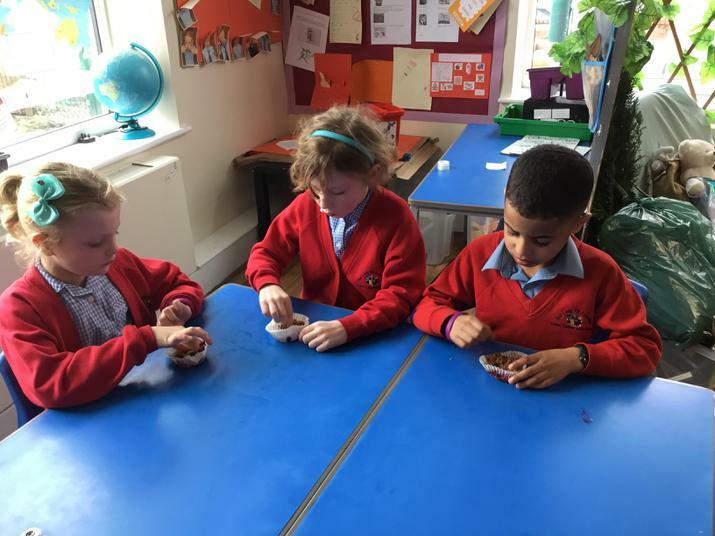 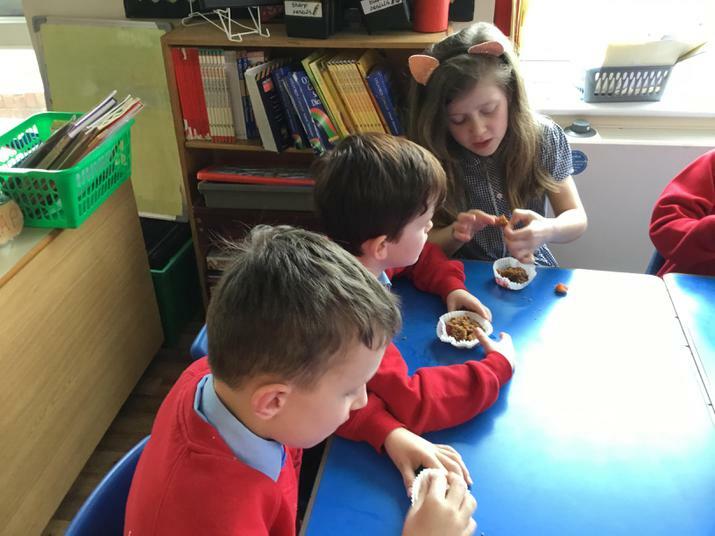 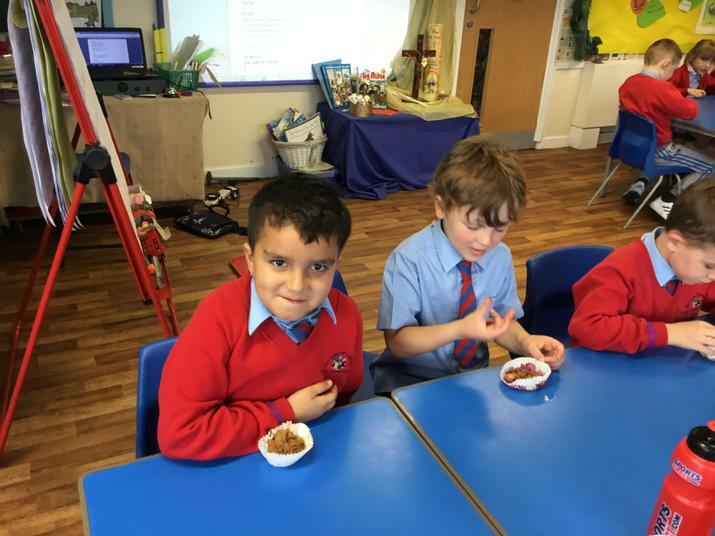 We designed and made our own ‘Fruity Gruffalo Crumble’. 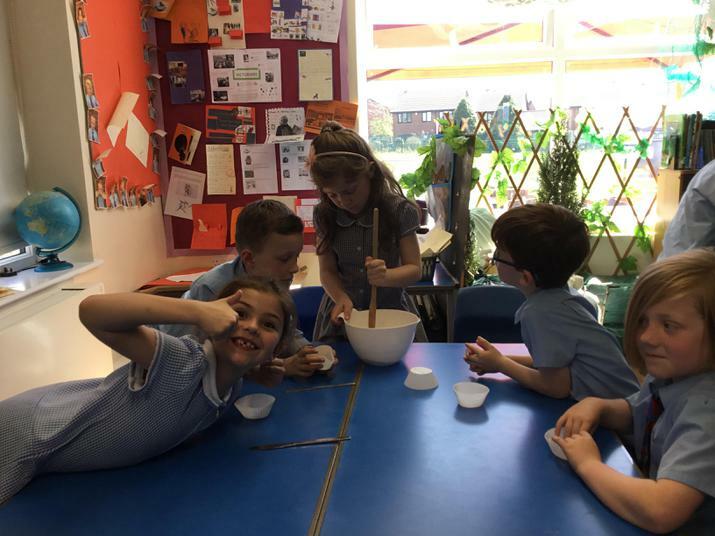 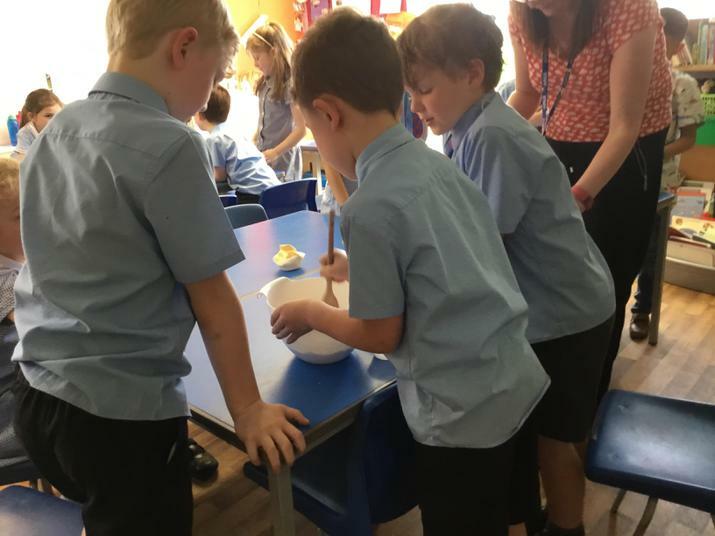 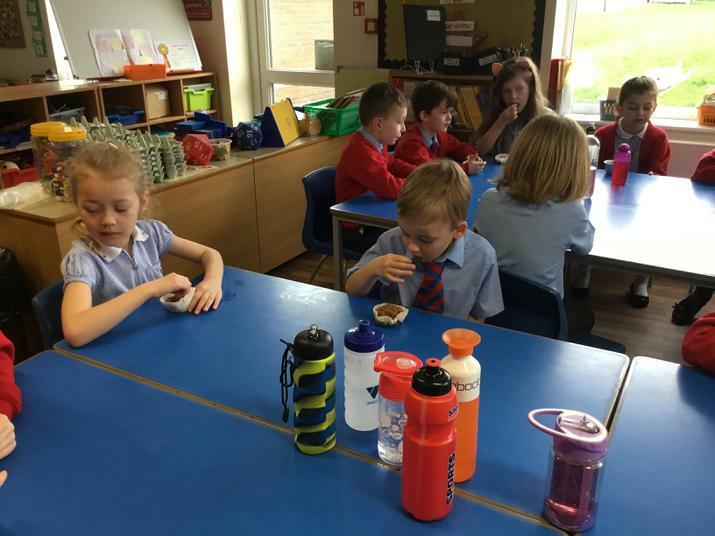 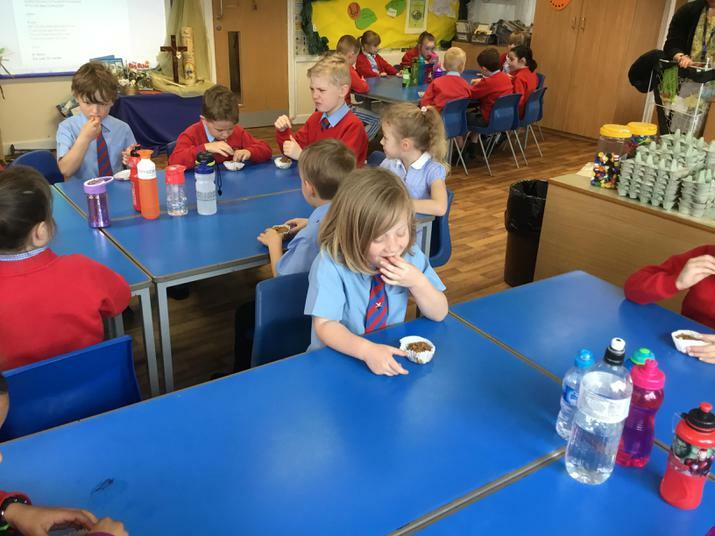 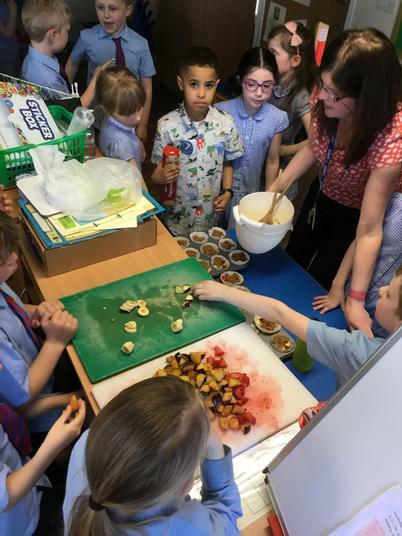 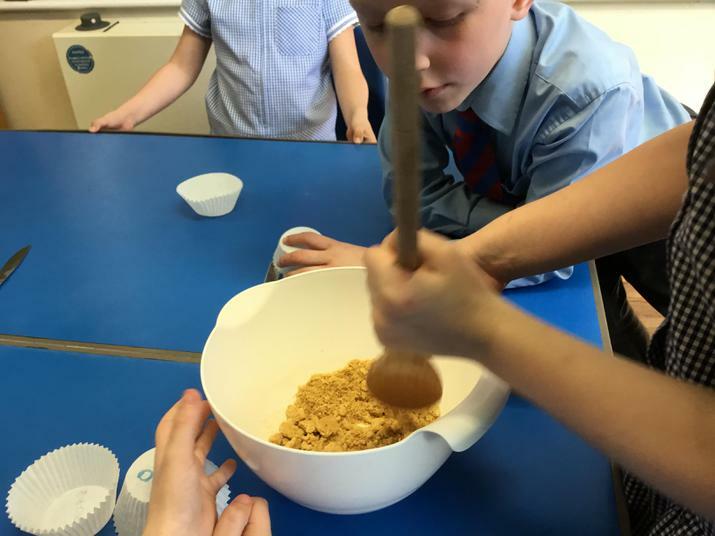 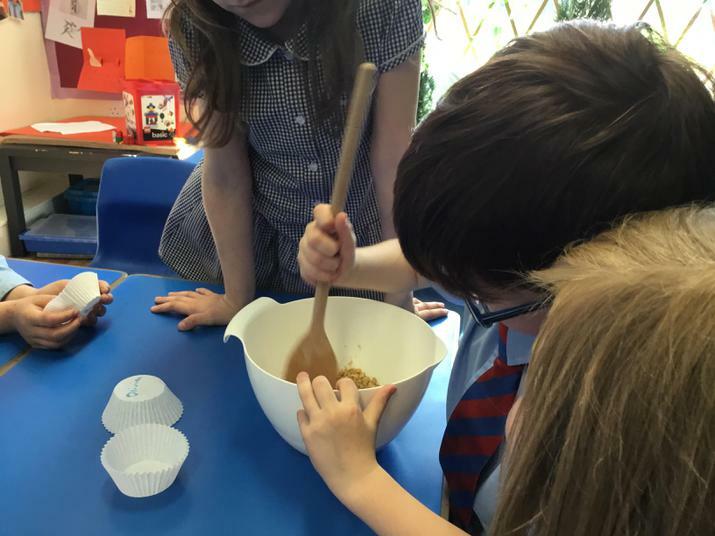 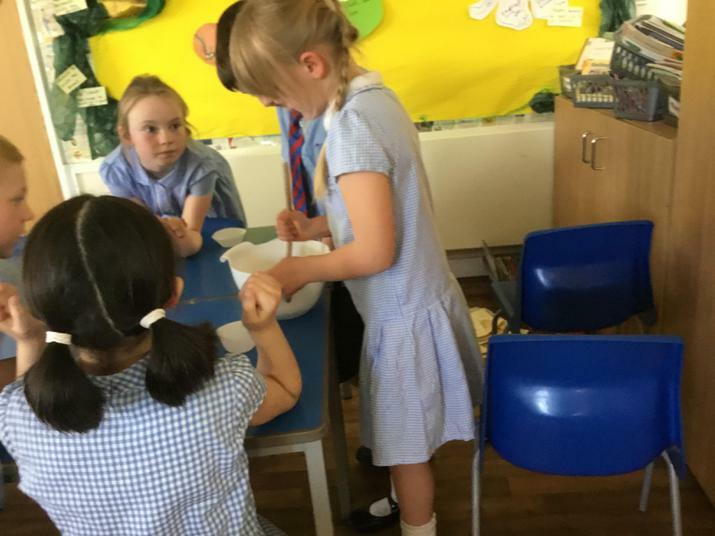 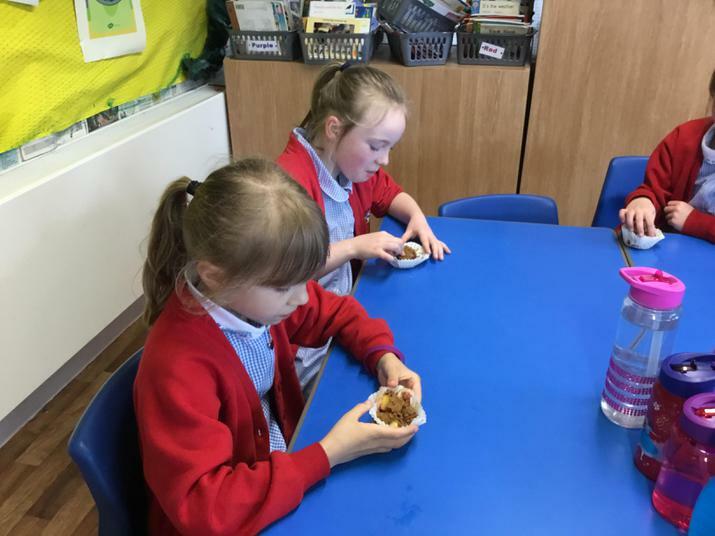 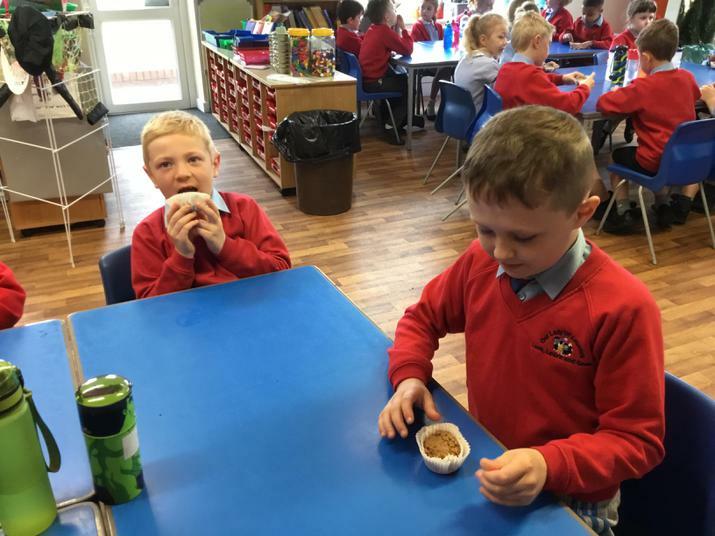 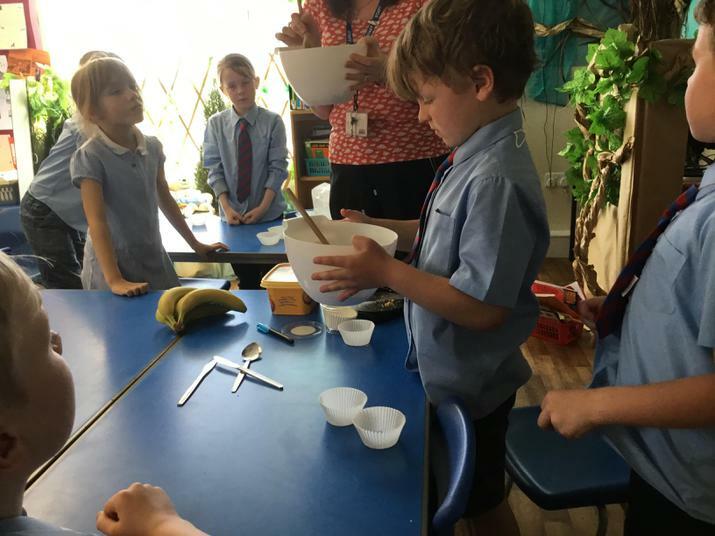 Our team work helped us to crush biscuits and mix in the butter to make the crumble topping. 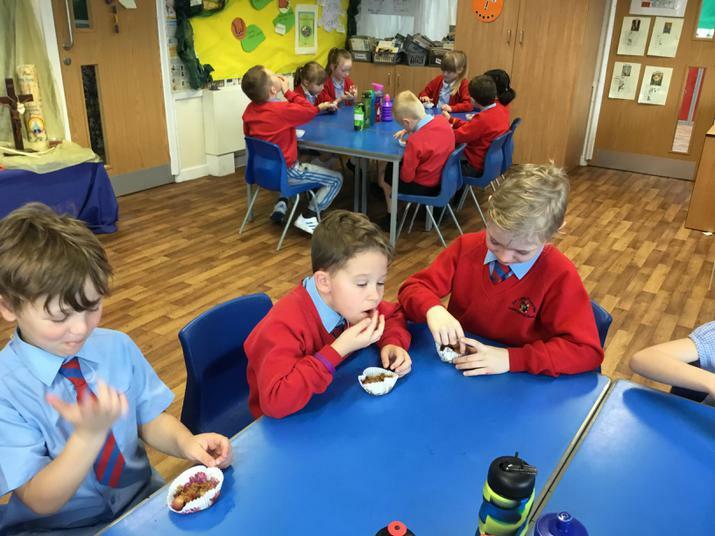 We chose our own sliced fruits and once they were cooked, we ate and evaluated them.